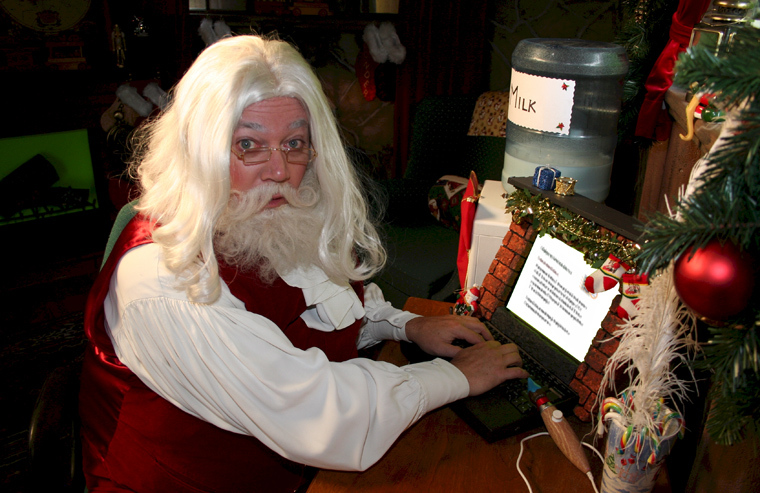 Santa Cause typing a letter. So many people has been curiously asking the question, is Santa real? This article is aimed at providing you with the best answer to feed your voracious appetite for knowledge and fact towards this question. The name Santa is prevalent in any country you can think of. In fact, so many movies, games, cartoons and any form of entertainment you can think of, which is organized for the purpose of the amazing Christmas holiday or season usually has a Santa clause. The popularity of Santa clause grows more and more stronger each Christmas season even to the crazy extent that young children wants to see Santa, they would drop a little bit of milk and cookie near the chimney and wait all night, wishing we can see Santa Clause, when we do not see anyone we become exasperated or infuriated. In Africa, my loving continent, where I am domiciled, which I cherish so much, we are sincerely full of some funny and weird attitude; at times we do practice some misdemeanor, in which our parents get very angry with us. During, the Christmas season, we will buy so many Christmas movies, cartoons, I mean films like home alone Part one, two and so on, we then try to mimic their actions, words, we try to dress Santa clause and even try to act some silly stories about Santa, and so on, In Africa, parents find it fun to take their children out to an organized Christmas party, which can be sometimes organized by the church or by an organization like a school. In the Christmas party, someone would be asked to dress like Santa clause and we the children would run after him. But, is the Knowledge which we harness in our minds concerning Santa clause, plausible? Is it erroneous to say Santa exist? 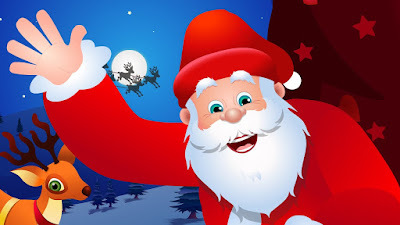 There are so many interesting stories I have heard of Santa and wow! these stories are amazing; this makes me to say Santa is pretty an amazing and incredible creature. Here is the fact I got when I did ask a multitudinous number of people about Santa and from the various movies and cartoons I have watched over the years. Santa is fat and has a very fat tummy, he is fair, in fact he is a white, he has a flying reindeer which he use to travel round the world, he resides at the North pole, which is indeed, a very cold region, he has full white bears, he has a transparent eye glass, he is old about sixty years old to maybe late eighties, he wears a red and white coat with a black belt, red and white hat and a black boots, he loves his cookie and milk, they are his favorite, he is only found during the Christmas periods, he laughs in a weird way, like ho ho ho, he is a awesome and fun guy to meet, he is magical. 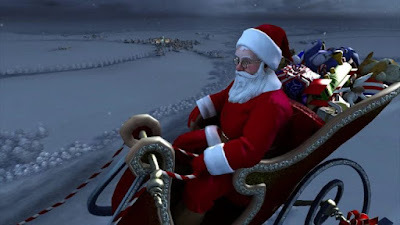 One of the most implausible and erroneous fact about Santa is that Santa delivers gifts to all the children of the world, if you are good and Santa has a black list where he records the names of naughty children. This is completely screwed up. Let me ask all of you who is reading my post at this very moment. When have you ever seen in your life a letter which says” Dear Maxiastro, I am sincerely writing this letter to you, knowing you are a good and respectful child and has not committed any nefarious crime this year, proudly presents to you this loving gift. Open the wrapper and check out your amazing gift from your only dearest Santa Clause. Love Santa”. Please, if you have seen any letter from Santa or any gift from Santa, you can always comment because you must be very special and I would like to see you or hear from you. 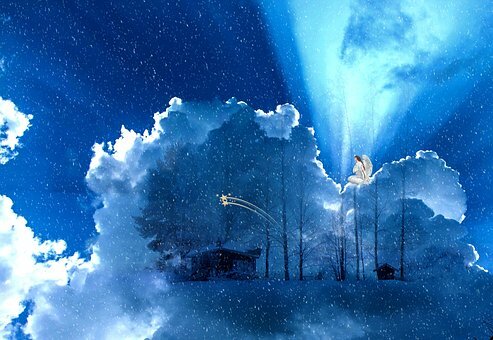 The entire story about Santa is only a matter of conjecture, as the famous Christmas magical man does not in any way exist. Let me provide a more compendious description about Christmas. The word Christmas is originated from the birth of Christ. Take a look at the following words; try to mull them over, “Christ”, “Christian” and “Christmas”, There is great connectivity between those words. The peculiarity of those words is Christ. 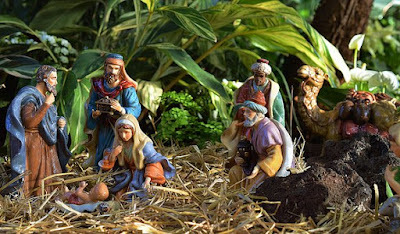 Christians celebrate Christmas due to the significance that a God or the son of a God would come down to dwell among flesh, not restraining from shame or poverty or abasement or minatory words or vitriol or torture for the purpose of a gory death by the hands of sinners. Why Did Jesus Christ Die For Us? Set the seal upon your heart, as a seal upon your arm: for love is as strong as death; jealousy is cruel as the grave: the coals of fire, which hath a most vehement flame. Many waters cannot quench love; neither can the floods drown it: if a man gives all the substance of his house for love, it would be utterly condemned. Jesus died because he loved us severely, His love for us was unconditional, and in fact He is love for us. Jesus Christ died for us because he was also jealous. Jesus was jealous that the devil was over riding our lives, oppressing us the way he pleased, Jesus Christ was also jealous that we are serving the wrong person, the wrong things like stones, jewelries, even money. The True Reason to Celebrate Christmas. Have you ever wondered why all the work of Jesus Christ was sincerely for man? His birth, days he spent preaching from one place to another, healing, suffering, even his death was all for mankind, He did not do anything to favor himself, all He ever did was completely external. The reason for all his action was because he was already a complete God; He cannot be greater than what He is since there is no limit to him. Since Jesus did everything for us, we simply have a tangible reason to celebrate his birth every year. But, on sober reflection, we are not only celebrating his birth, but we are also celebrating our birth in Christ. No Response yet for "The true story of Santa clause and Christmas"